A basic author is any name that can be attributed as an author for your site's content but doesn't have login credentials. 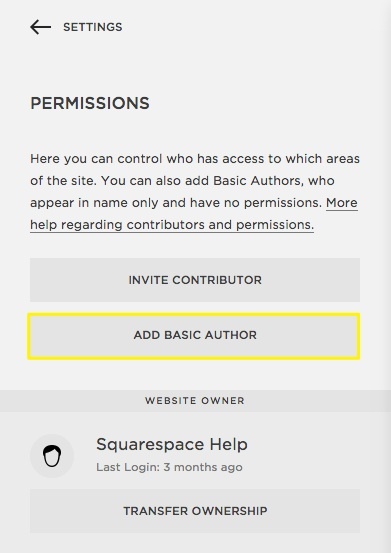 Unlike contributors, basic authors don't have an account for your site. Basic authors appear in a drop-down menu you can select from when adding or editing content. This makes basic authors a great option if you have guest bloggers or attribute content to a general source like a company name. 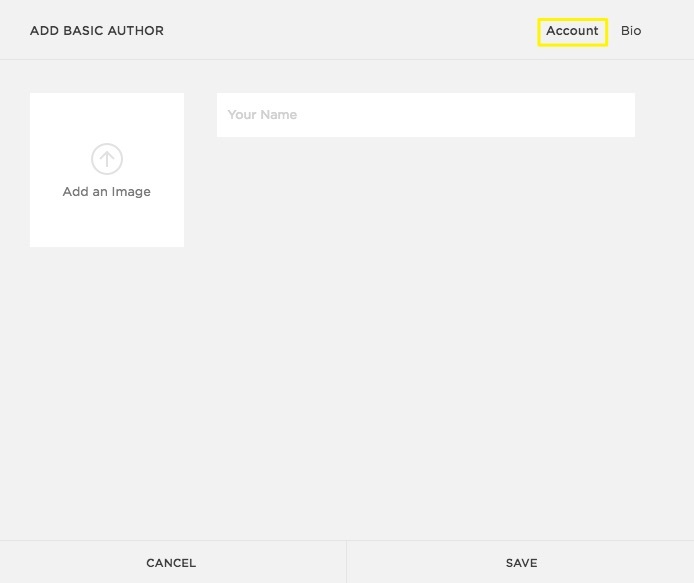 Tip: You can add as many basic authors as you want. Basic authors don't count toward contributor limits by plan. Only Administrators and site owners can add basic authors. Edit the basic author's name as it appears on your site, including blog posts. Tip: If you're using basic authors to attribute content to general sources like your company name, enter that name here. In the Bio tab, you can add a first and last name, website, and bio. Note: Bio text only appears in templates that support author profiles. 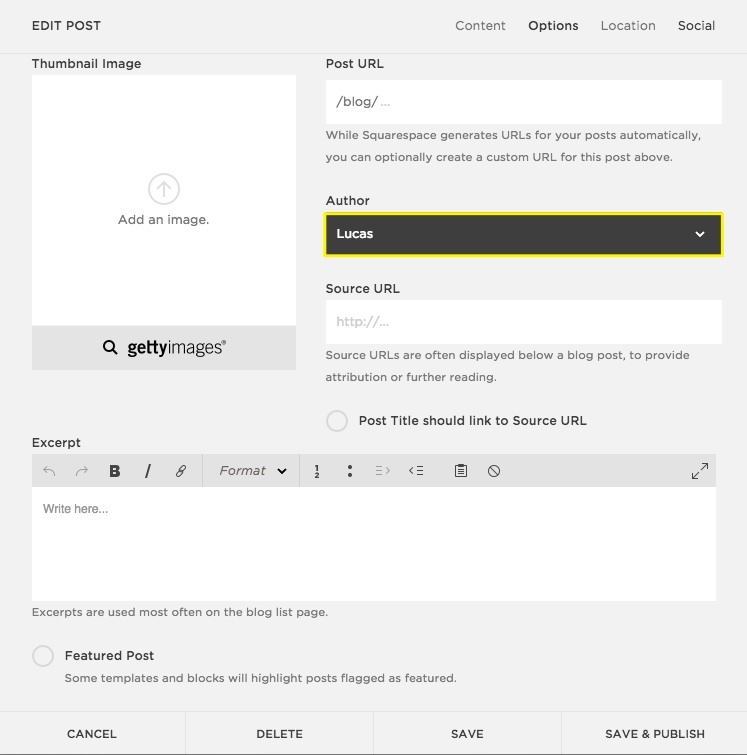 Add an author in the Options tab of the Gallery Image Editor, Blog Post Editor, Event Editor, and Track Editor. Basic authors also display in Archive and Summary Blocks. Unlike contributor profiles that can only be edited by the contributors themselves, only Administrators can edit a basic author's profile. Click on the basic author's name. Edit any of the profile options, and then click Save. In the window that appears, select a new author that will replace this author from the drop-down menu. Click Transfer and Remove. 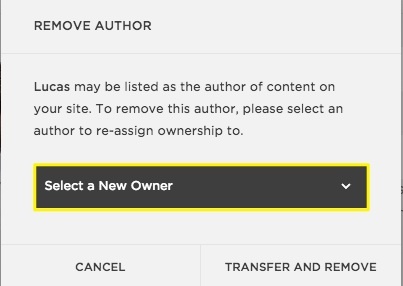 This ensures that all content attributed to this author - for example, blog posts or galleries - has a new author listed in their place.